Comprehensive Guide - When is the Best Time to Buy HVAC System? Your Comprehensive Guide – When is the Best Time to Buy HVAC System? Whether you are replacing your old, well-used HVAC unit or installing one for this first time you might be wondering; when is the best time to buy HVAC system? So before you go out and spend several thousand dollars on the system of your dreams, read this short guide so you can be well-prepared to get the best deal possible. Absolutely! Like so many things, season matters a lot. When its super hot or cold outside, HVAC systems are in high demand, so the prices shoot up. Likewise, when the temperatures are milder in the spring and fall, the rates are lower. Not only that, you don’t want to suffer through a few weeks of winter without heating because installation times are longer due to this added demand. The best time to buy an HVAC system is right as spring or fall begins. Your best bet is to contact your local, trusted HVAC service company. They will not only have more time then but will likely have a relationship with several HVAC dealers who can get you the better deal with the key features you desire. When buying a new HVAC system, you might need to brace yourself here. HVAC systems tend to be the most expensive as they are the most complicated systems. This is particularly true if you need ductwork installed or have a very large house. You can typically expect to pay between $700 to $4,500 for a unit with additional costs for installation. That’s why it’s best to look for a package deal. It’s all about the brand as well, some low-quality brands won’t cost very much, but will fail in just a few years. You also want to think long-term about energy cost, so efficiency is vital. Finally, there are brand likes Day and Night which actually use the same components as higher end models so do a little homework and check that availability of what’s in your area. 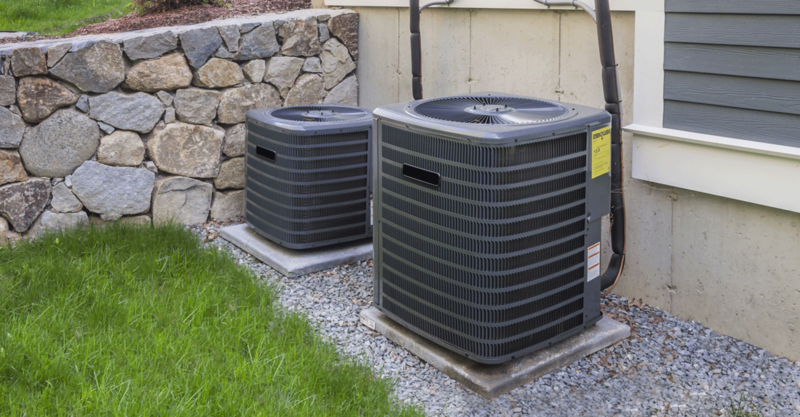 Although there are many HVAC benefits for your home, so many units end up being the wrong size. They are either too small or too large, and you are either paying too much or not getting the outcome you are looking for. Don’t just use your square footage as a guide. Instead, have a contractor come out and take a look at your house. A contractor is going to check for things you might not have thought of such as the numbers of doors and windows in your house or areas where you experience air leakage, along with other factors like your insulation and even the building materials of your house so that you can get the right unit for your home. The Best Time to Buy HVAC System? An HVAC system is one of the most important features of your house. It makes the hottest summers and coldest winters a breeze to live through. So, when is the best time to buy HVAC system? Our best bet would be the spring and fall. During these times, you can find the right technicians to help you pick out the best unit for your needs and get the job done quickly without having to wait for weeks to get it installed. Remember to contact a certified technician because summer is right around the corner!